What is Restoration Ecosystem-based Forest Management? In order to be better stewards of the forest, there are alternatives to clearcutting and selling raw lumber at cost. 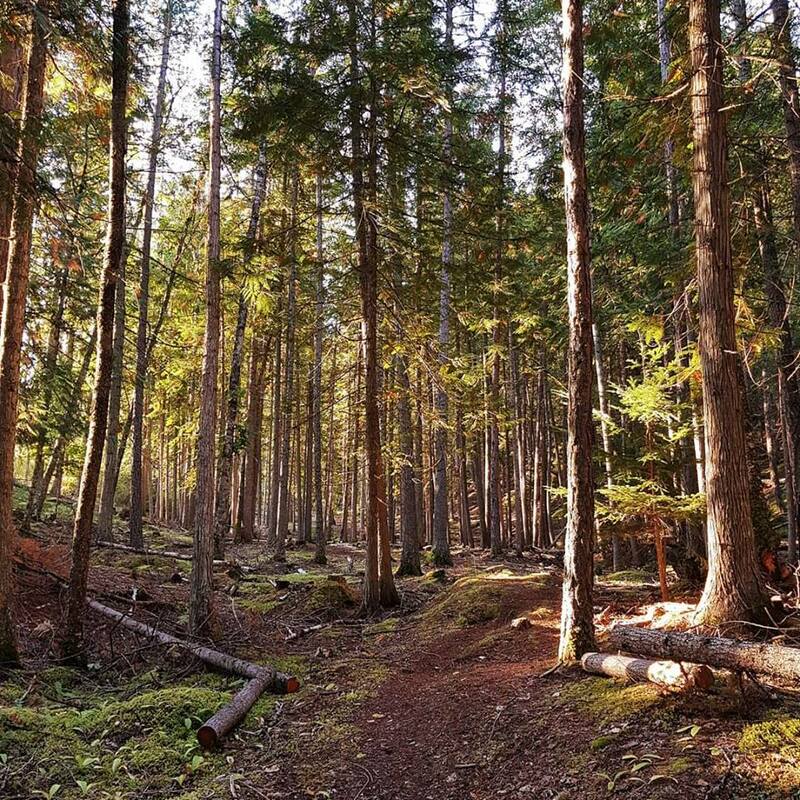 The conventional forestry industry in British Columbia has overestimated the amounts of timber that can be extracted from fragile forest ecosystems and the systems themselves have begun to fail. What if there was a management model that cut less or NO timber with the goal to allow the forest to recover, while still providing jobs? Enhance ecological integrity by restoring natural processes and resiliency. Using a multi-disciplined approach rooted in conservation biology and ecosystem restoration, it includes preserving and protecting intact landscapes, allowing the land to heal, and where necessary, helping it to heal with active restoration. Develop and employ the use of economic incentives that protect or restore ecological integrity. An economic and institutional framework that fully accounts for non-market ecological services needs to be created in order to recognize the value of intact ecological systems and to guide restoration efforts. For example, economic analysis that values the benefits of restoration such as clean water and restored fire regime. Make use of and train a highly skilled, well-compensated work force to conduct restoration. This includes a commitment to regional training capacity, skills certification, consistent government support over decades. The Glade Watershed Protection Society considers wildcrafting a cornerstone of restoration work. Wildcrafting is the harvesting of natural plants, but very importantly, the giving back to the ecosystem – that means encouraging colonies of plants to grow stronger and multiply. Elliott Groen has been studying for some years and has a particular interest in native plants and how mature eco-systems function. He is a member of the Watershed Society, chef http://foragedstockholm.blogspot.ca/, naturalist, and is currently completing a Chartered Herbalist Diploma from Dominion Herbal College. 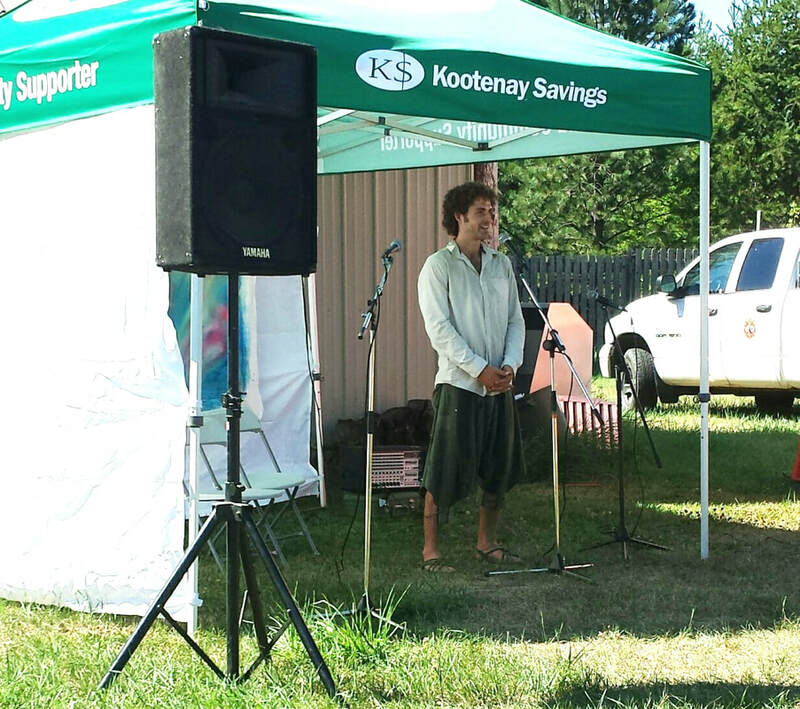 In the photo below, he is shown presenting at the Glade Market on Wildcrafting and its place in an Ecosystem-based Community Forest. Elliott presenting at the July 2018 Glade market. A vital part of the July 22 market was a small table that displayed wild ginger, Oregon grape, wild lettuce, birch polypore, hazelnuts, snakeroot plantain leaves and devil’s club root bark. These plants, among many others, grow in the Glade Creek watershed and are part of the valuable forest ecosystem there. Elliott Groen collected the plants and spoke to community members, who have their own knowledge and experience of plants in the watershed to contribute to the conversation. One example of using wildcrafting in restoration work are Forest Gardens. These gardens would provide plants as a resource and for propagation, fire safety would be an important facet of the forest garden, and the Forest Gardens would, most importantly, provide education about the value of the forest and its ecosystems to students and any interested parties. 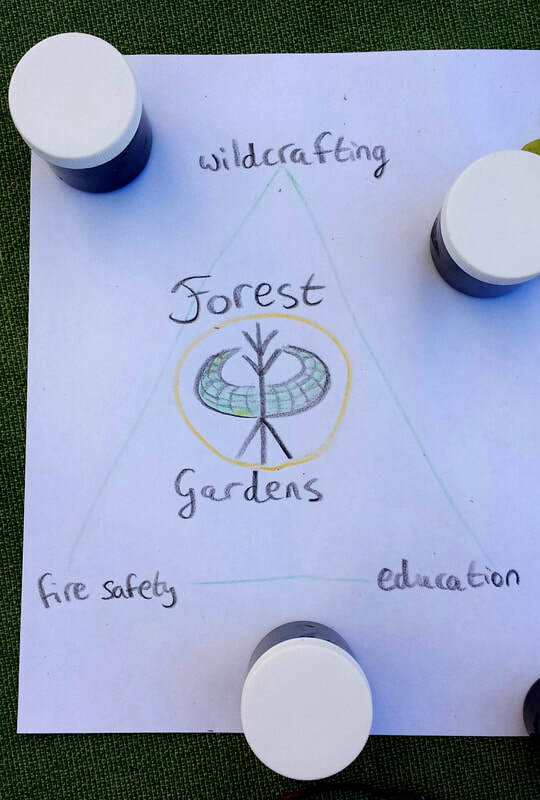 Why wildcrafting as a part of a community forest? In the 1996 Ecosystem Based Landscape Plan for the Slocan River Watershed Herb Hammond states that "employment and revenue are generated each year from wildcrafting in a particular forest versus once every 80-120 years in conventional timber management." He goes on to provide estimates that gourmet and medicinal mushrooms can produce up to ten times the annual income per hectare compared to periodic timber cutting. In addition wildcrafting does not carry additional expenses such as road building and reforesting. This practice can be carried out in ways that protect and restore the watershed - not just by collecting materials for food, medicine and fibre, but also by collecting seeds and managing wild areas to promote and assist the natural abundance. Ethical wildcrafting can provide employment, profit and sustainability unmatched by the current timber industries. Wildcrafting can be a viable option for providing employment and revenue for a Community Forest in Glade watershed. Wholesale herbs,roots and fungi, tinctures, flower essences, salves, ointment, essential oils, hydro-sols and living plant sales are some of the products that can be marketed locally and online. It should be noted that wildcrafting does not only extract resources from the land but also provides avenues for maintaining and increasing the diversity and resiliency of the ecosystem. This happens through collecting seeds to plant new patches and creating favourable conditions for existing wild plants and fungi to flourish in. By creating multiple layers in the forest the functions and profitability of each acre will also increase. By tending and expanding the understory of the forest more water will be absorbed in the ground creating less turbidity in the local water supply. Other revenue streams that can be accessed through this practice include a native plant nursery and educational hikes and/or camps in the forest. Native flowers can be planted at the edge of the powerline providing a highway for pollinators. Genetic material that is collected can be used in restoring nearby ecosystems with similar profiles.